Jennifer is a Registered Dietitian/Nutritionist with a Dual Masters Degree in Nutrition and Applied Physiology from Columbia University. She is also Board Certified in Sports Dietetics. Jennifer serves on the United States Olympic Committee Dietitian Registry and has been in private practice for more than 20 years. She and has worked with athletes of all abilities including age group triathletes, Division I hopefuls, Olympic qualifiers and weekend warriors. 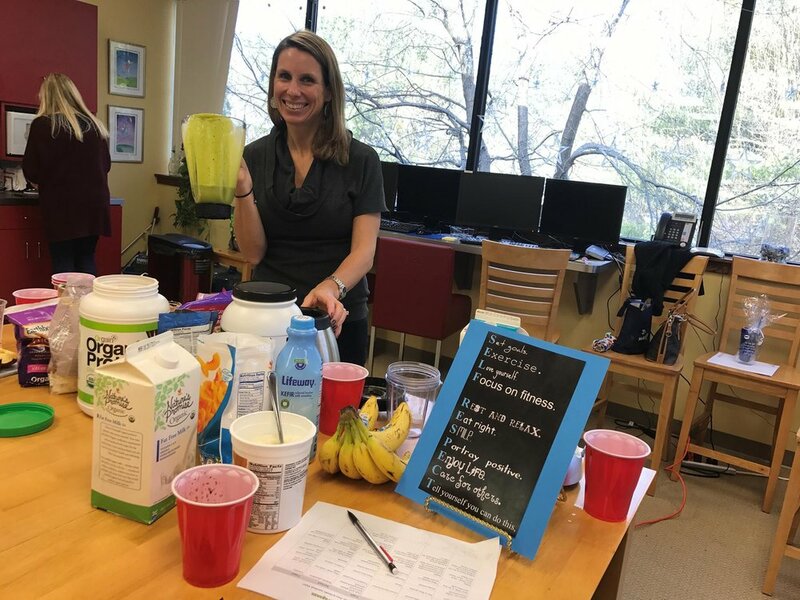 She has worked in many settings during her nutrition career including corporate wellness (GE, Pfizer, Meryl Lynch, Alan and Co.), Hospital Wellness (Greenwich Hospital, Stamford Hospial, Columbia Presbyterian Hospital, LIJ-North Shore), Community Fitness (YMCA, numerous fitness centers). Jennifer also consults for businesses, sports teams, prep schools and recreation facilities. Jennifer is the head endurance coach and sports nutritionist for Save the Children Endurance Program and a nutrition expert for Nutribullet. In addition she works as a freelance nutrition and fitness writer on all things nutrition, fitness and wellness. You have probably seen her writing in publications such as Shape Magazine, Runners World, Triathlete Magazine, RD411, NutriBullet.com and Women's Running. Jennifer is also an accomplished runner and triathlete who does all her training and racing with her equally as accomplished husband. They have four very active children. Fun Facts: Jennifer is also a USAT Certificate Triathlon Coach, RRCA Certified Running Coach, 2 x Ironman USA Lake Placid finisher, 10-time marathoner, (including the Boston Marathon). She received USAT All American Honors in 2010 and 2011, and All American Triathlete 2012, 2013, 2014. She is a 3 x ITU World Championship competitor representing Team USA in 2013 (London), 2014 (edmonton) and 2015 (Chicago).